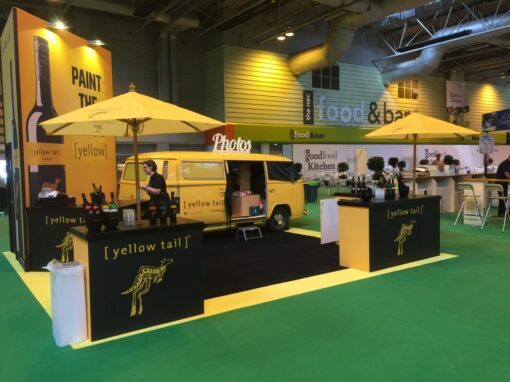 Buttercup Bus VW Campers provided branded VW Campervan hire to Genesis Design for an exhibition stand at the Birmingham NEC centre. 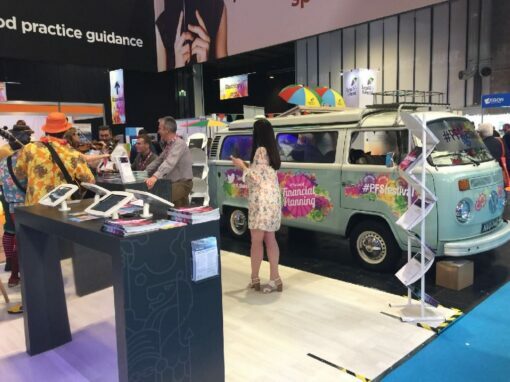 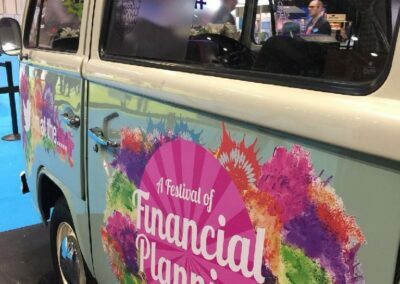 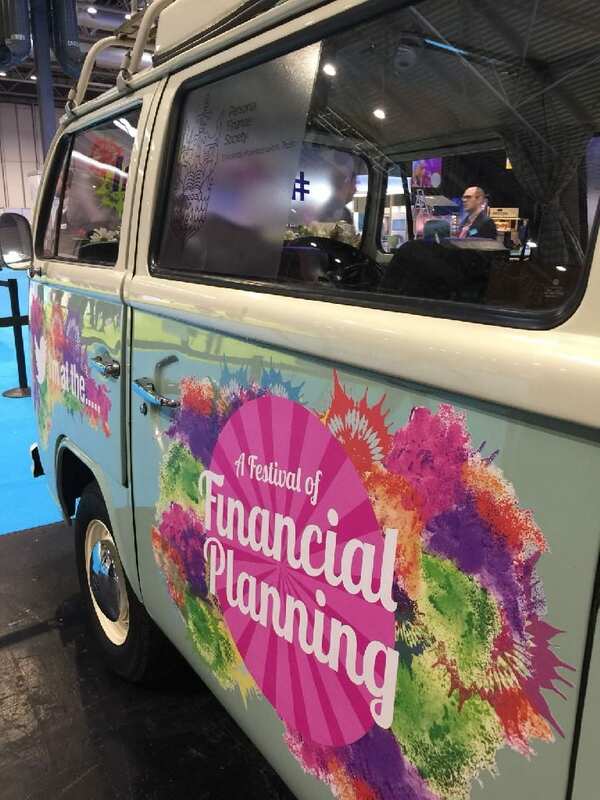 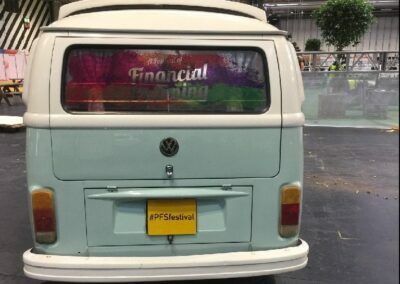 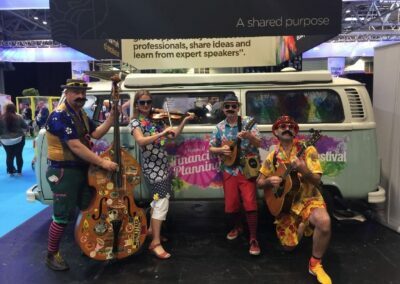 We used low tack vinyl decals (a high impact alternative to our full laminate wrapped campervan services) to brand the campervan with the #PFSfestival livery – The Personal Finance Society presenting “a festival of financial planning”. 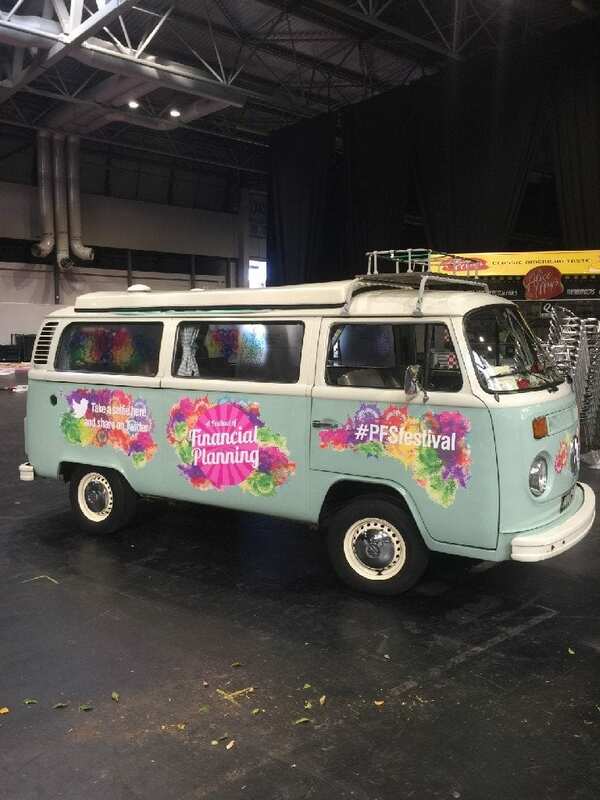 We worked with Genesis Design, providing them with our tried and tested campervan template for them to submit their artwork. 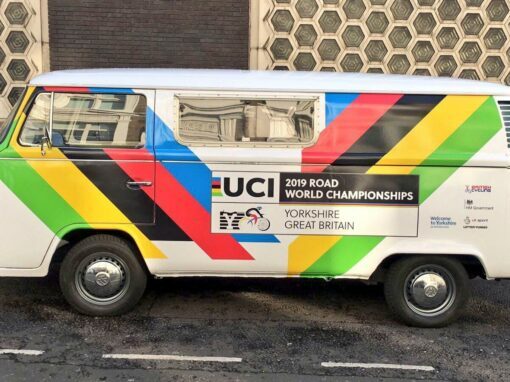 We then consulted with them over the compatibility of the design with the contours of the campervan, until we had final artwork signoff. 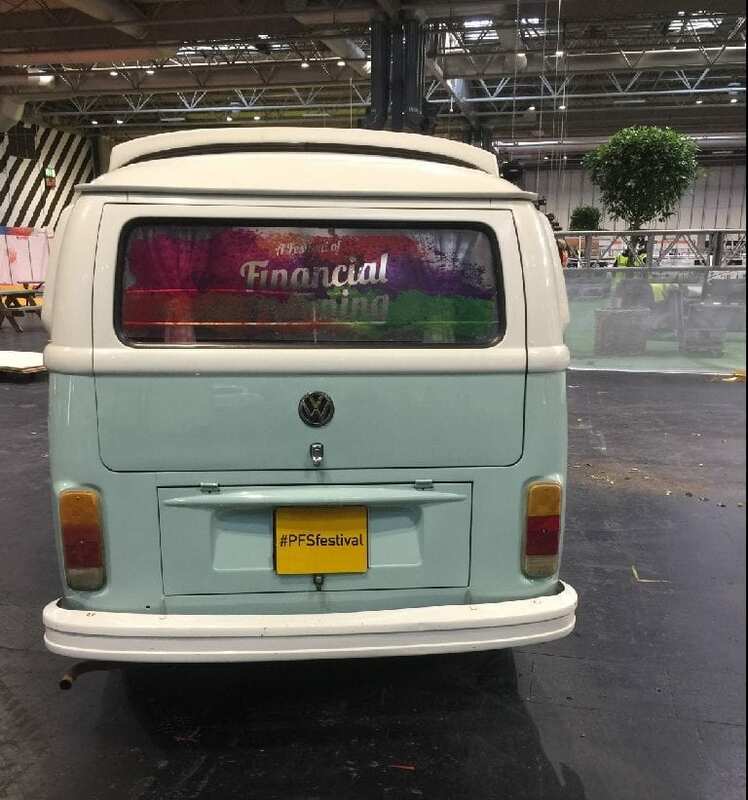 We produced and applied the graphics – including detailed contour cutting around the artwork outline, a special, branded license plate (show plate) and window graphics. 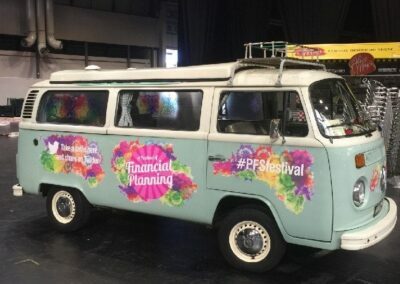 Alongside this service, we provided the logistics, required risk assessments, method statements, and PL cover. 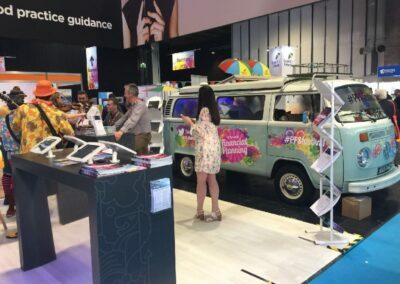 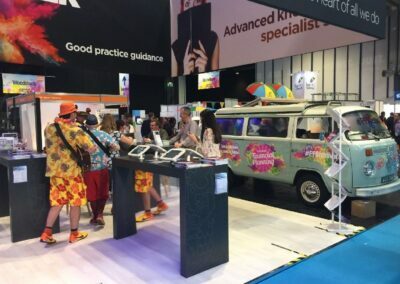 The Branded VW Campervan hire for exhibition stand provided a striking feature that complemented the festival theme of the event. 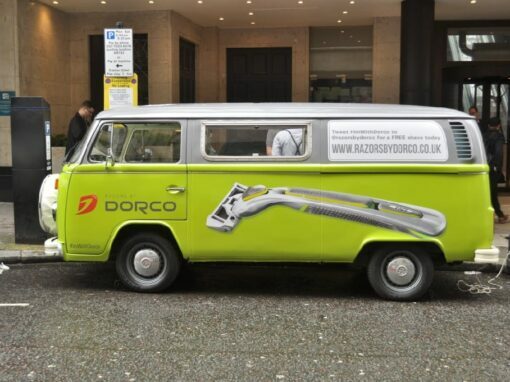 We used low tack vinyl decals for this project – a high impact and low budget alternative to our full vinyl wraps. 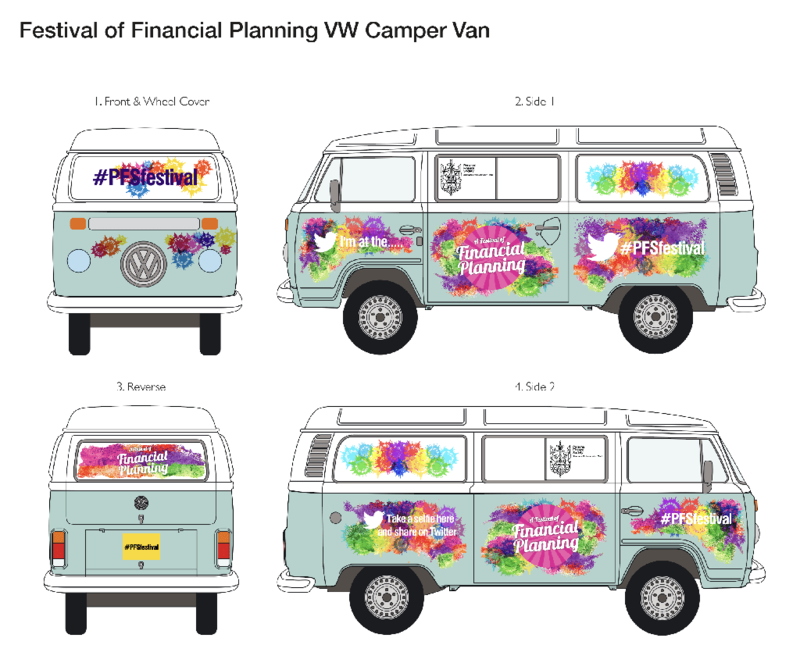 We provided our tried and tested artwork template and consulted on the design’s compatibility with the campervan. 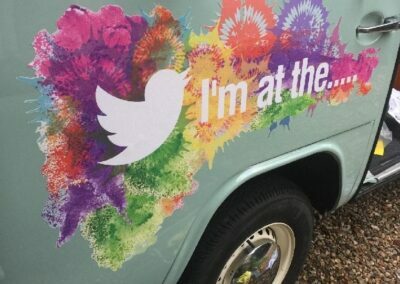 We then produced and applied the graphics. 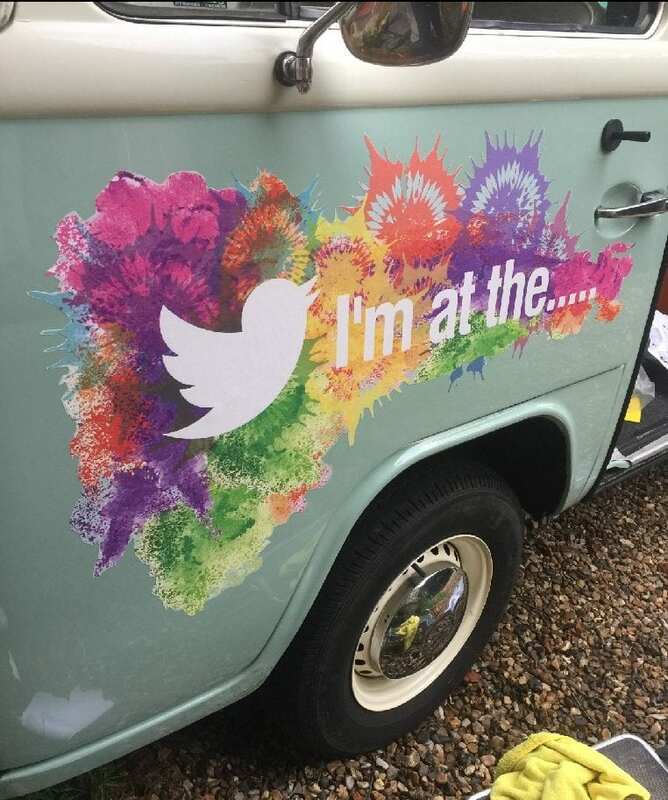 We provided low tack vinyl decals (overlay graphics) on the campervan. 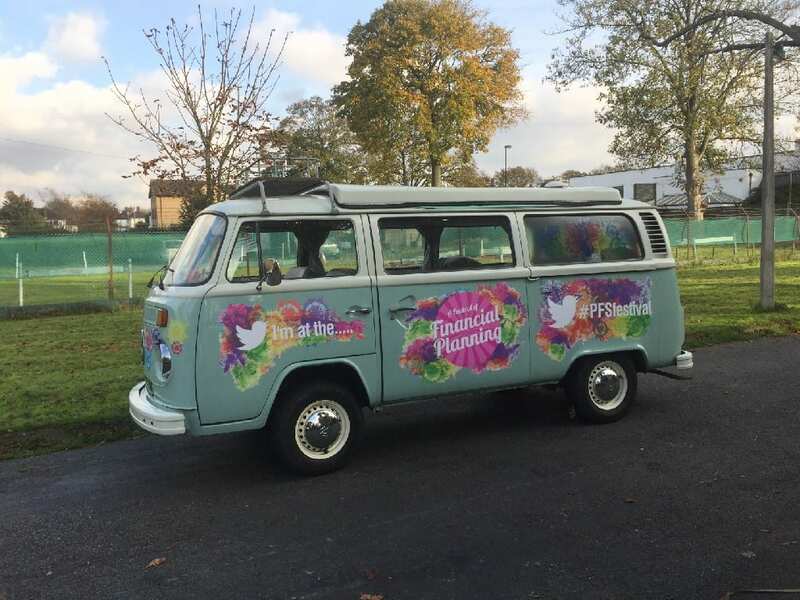 We provided the client with our campervan template and consulted over the compatibility of the artwork with the contours of the vehicle. 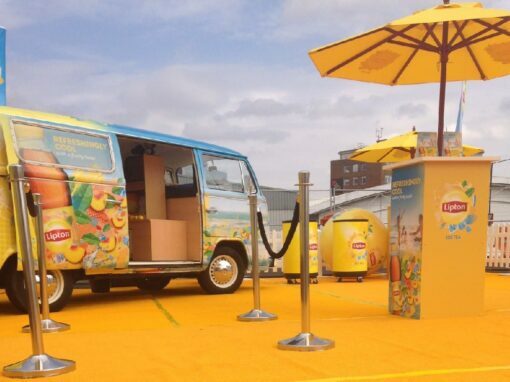 On sign-off we produced and applied the graphics. 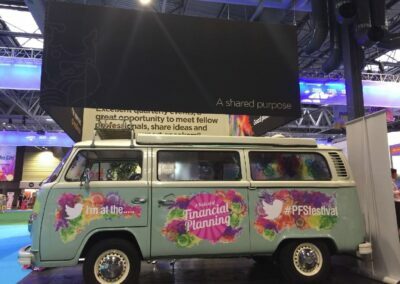 After the event, the graphics were then removed. 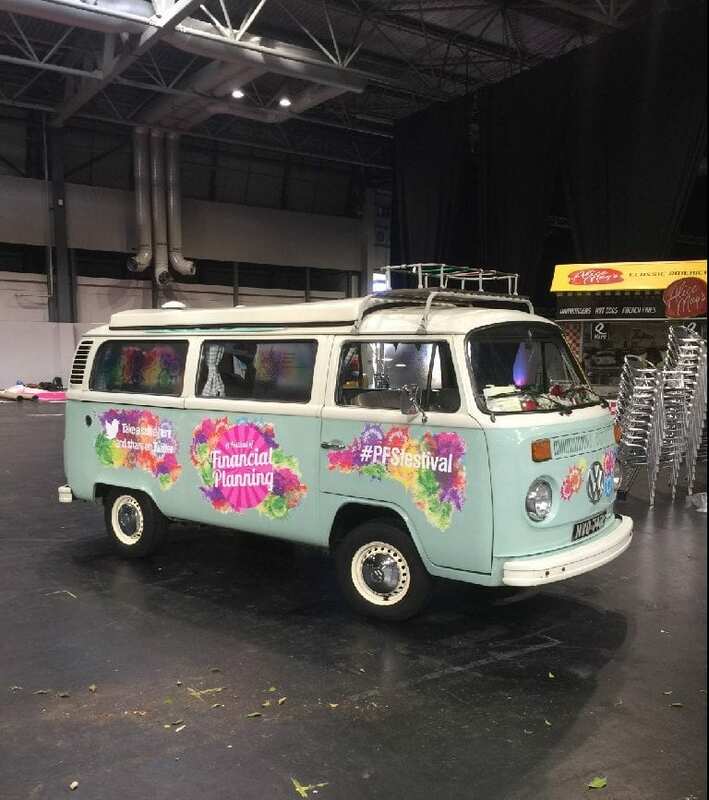 One of our experienced driver team delivered the camper to the Birmingham NEC and stayed at the Exhibition stand throughout the event. 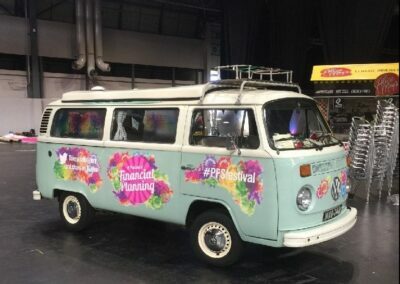 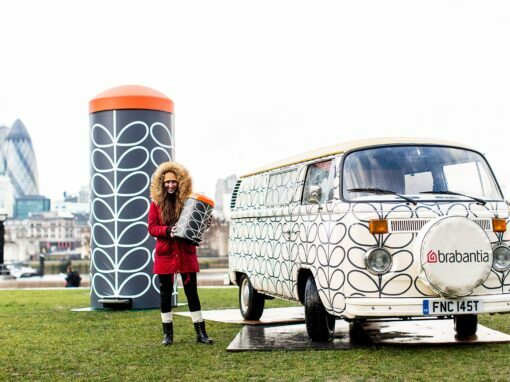 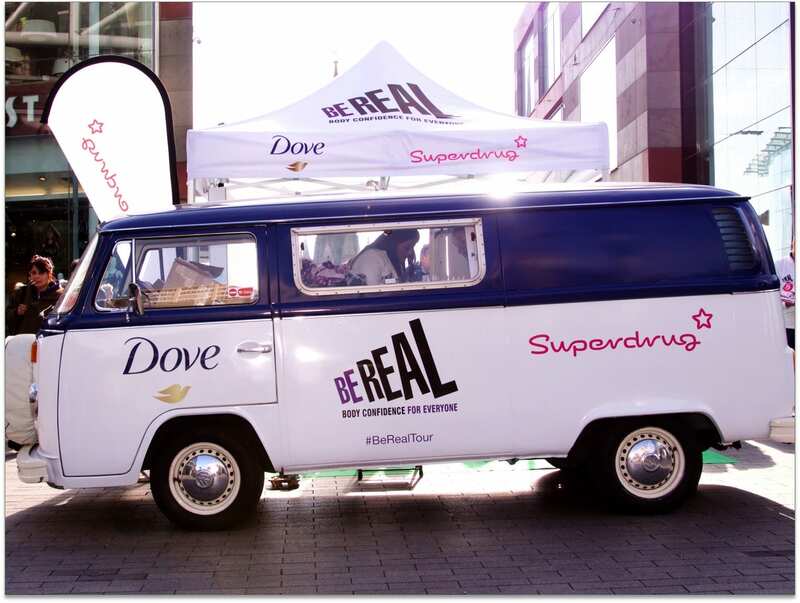 Our team encouraged people to have their photo taken with the campervan, and to post the pictures on their social social media using the event hashtag. On arrival, we ensured that the campervan was looking it’s best. 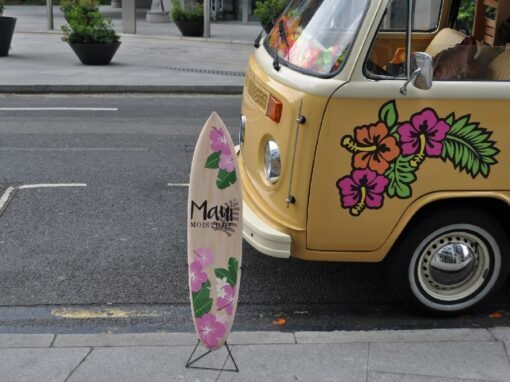 This included detailing such as wheel dressing, a full wax down, chrome and glass polish. 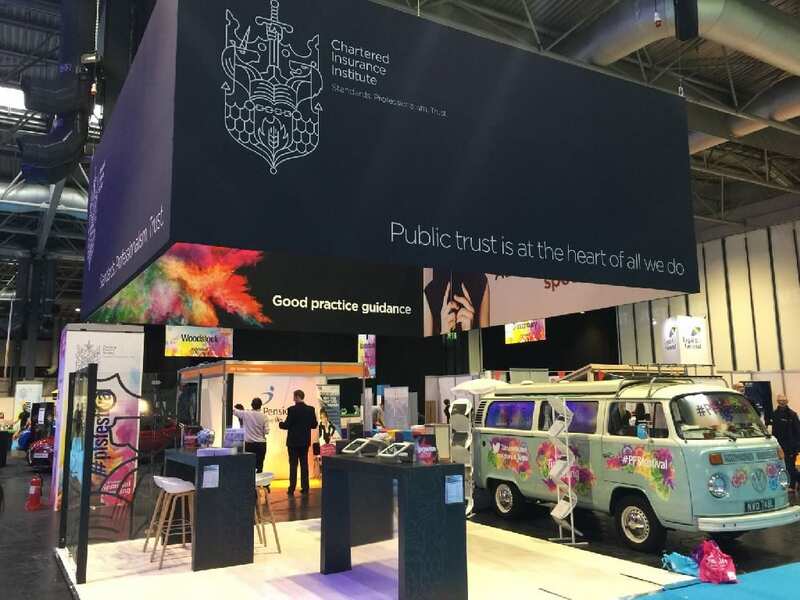 We were able to produce all the Health and Safety documentation for our client – to include the Risk Assessments, Method Statements, and appropriate Public Liability cover. 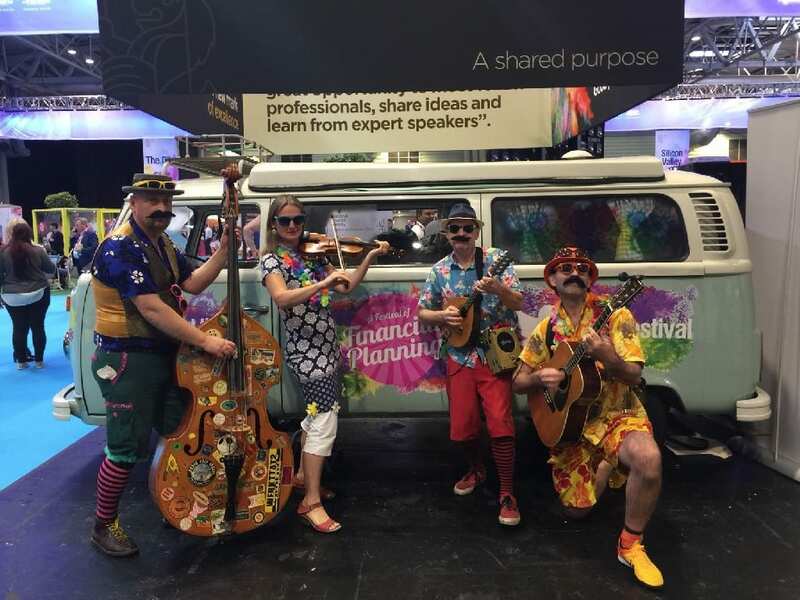 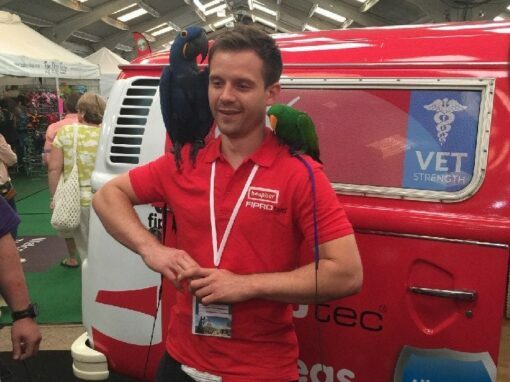 We have experience doing this at many venue types and are backed by our own Peninsular consultants.The campervan was set up in line with the strict Health and Safety requirements.